As we travel in the high strangeness of these tumultuous and transformative times, many people can feel the weight of the attempts made to demoralize the public that comes from the constant spewing of the dehumanization agendas that are heightened in the energetic environment. It is important to know that demoralization and dehumanization tactics are the most important tools of psychological warfare and intentional torture that are used to break down a person, or groups of people. Demoralization: A process in psychological warfare with the objective to erode morale or dehumanize those perceived as the enemy. By intending to destroy their dignity and morale, it can encourage them to retreat, surrender, or defect rather than confront them or to defeat them in physical combat. Demoralization and Dehumanization is the most important tool of psychological warfare and intentional torture used to break a person. Demoralization is most commonly implemented through various forms of fabricated propaganda to weaken people, while dehumanization is commonly used by the Satanic Agenda to mock and defile human dignity or attack the spirit within the person. Thus, we must see it when it is happening around us, and identify what is going on before the subliminal messaging sinks deeply into our subconscious, as then we may feel emotionally spent and weighed down with energetic burdens, but do not understand the reasons why. Demoralization must be called out and recognized for what it really is – a tactic to weaken a person, weaken their spiritual strength and personal conviction in seeking higher truth. I have made a partial transcript of what I feel to be a crucial understanding for those of us on the spiritual ascension path at this time, due to the high intensity of blow back generated from the recent field events. Transcript: We come together today, to strengthen ourselves, to strengthen our spiritual dedication and conviction to be and live in truth, to work in harmony with the natural laws, to align ourselves into our greatest and highest expression of personal truth. 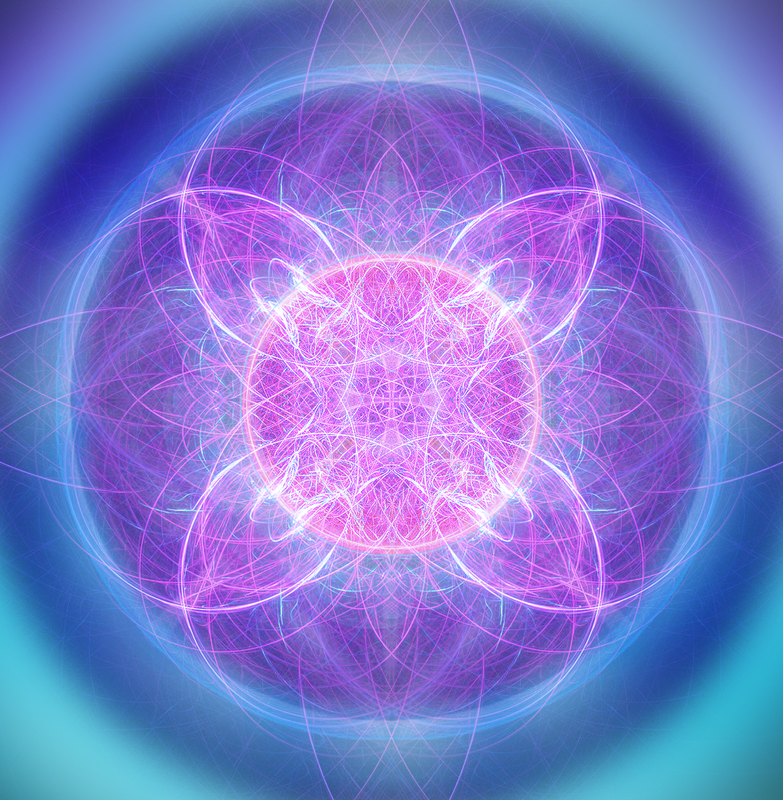 It is of critical importance in truly understanding our heart, our pure heart, our connection to the Source through the undulating waves of light resonances that are shared in the environment from our heart, when we feel and express love. When we recognize an energy signature around us and we can deeply feel something, this is the heart resonance at work, its function, the way it should function in all people. Recognizing that at this time on our planet we are sharing space with many human beings and human bodies that do not have this same function, some may even appear human but have lost their human abilities to feel love, compassion and empathy. They do not have the same nadial structure upgrades or sensory connections which allow them to truly feel the presence of our human heart, our love, our empathy, our compassion, our caring for each other, and our caring about what happens in this world. Although we must remember that we cannot exert any kind of control over the end result. Without feeling love we wither and we die. Seeing death in this way, not death that is described in the physical world of the passing of the body, but that death is the decay of the loving spirit, when you do not have access, for whatever reasons, to experience love, heart, purity, affection, the unconditional acceptance that unconditional love brings, that is loving kindness. For this reason I’d like to share the strategy of the war over consciousness, in terms of more deeply understanding moralization and demoralization tactics that are used to shut down love, shut down our heart, and shut down our spirit. These concepts have been weaponized against our mind, and many of us suffer greatly from the plight of being misdirected by those controller figures who intend to gain control and power over us through the many complex layers of targeting that are directing psychological weapons of demoralization, and even misinterpretations of moralization. What is demoralization? It goes hand in hand with dehumanization, and these are the most important tools of psychological warfare, which is increasing in its scope against the people of the earth, and it is for this reason we are surfacing this into greater awareness and understanding today. We have been taught and conditioned to think that moralization has its basis in fundamental religion, and that its very nature is oppressive, judgmental and limiting. This is another lie we have been told, by those interested in the mainstreaming of Satanism and Luciferianism. When holding the concept of moralization in your mind, also bring to mind Virtue-Based Ethics which have their root in natural law and are essentially the foundation of the true meaning of moralization. Because demoralization is so common on the earth, I would like to bring to mind the association that needs to be made between moralization and Virtue Based Ethics, in order to clear the subconscious layers and the mental body of the negative associations that have been made to moralization, through the various levels of mind control that is used in many areas, such as organized religion. We know this too is an NAA creation and it is embedded in the NAA religious structures placed on the earth to enslave the population by controlling their beliefs and by controlling their relationship with their inner divinity and spirit. To moralize is defined as to reflect on or express opinions about something in terms of right and wrong, especially in a self-righteous or tiresome way. We’ve all seen and heard the priest in the pulpit offering sermons on moralizing which are entirely hypocritical and judgmental, exacting judgment on people to dehumanize them in this way, to make them feel guilty or ashamed of themselves. Many times this occurs in very damaging ways, it is automatically labeling human behavior as morally wrong, when many times the harmful behaviors being carried out are actually violations made against one’s soul, and being entirely misinterpreted by that person. A violation made to the soul, is to bring spiritual harm to yourself. Bring to mind the Law of Suggestion, for this is a natural law. Essentially, this means we are the sum total of our accumulated thoughts and beliefs, what has been suggested to us through spoken words, our direct experiences and interpretations of life, subconsciously, consciously and through our spiritual bodies. Suggestion is the psychological process by which one person guides the thoughts, feelings, or behavior of another person. What is spoken, what is heard, what is seen and perceived from this body filter, is the suggestion of what we become. Please let this understating go deeper, really feel the repercussions of what we are living through now on planet earth. This consciousness principle also explains the gathering of inner strength that is required to go beyond what is spoken and heard, therefore go beyond what was suggested to us from environmental conditioning, such as the family of origin inherited beliefs and behaviors. How do we shift out from the accumulated results of the millions of suggestions sent out to us since birth? We must learn how to think clearly and speak clearly by directing focused mental energy upon a positive idea or loving thought form, in order to magnify that spoken word or thought form substance into the manifest. Yet, by holding Observer Point without attachment to how it actually manifests. People must learn to love, accept, respect and honor themselves first, and this is the most important part of moralization, or the building of virtue based ethics. As until one can truly love and accept themselves unconditionally, they are unable to love others in the same way. This is a critical principle to understand, you will remain unable to love wholly, completely fully and unconditionally, until you give this exact same treatment of love, honor and respect to yourself, and until you can achieve this, you are withholding love from others, you are withholding love from yourself. We have been educated to withhold love from ourselves and to replace the void and pain in our heart and the holes within our spirit body with something harmful, generally misinterpretations of our worth and value, our inherent deserved-ness. You exist here now, that is proof of your deserved-ness, your true value and your inherent divinity, to be acknowledged and recognized in this moment, as totally, completely and universally lovable – to love and be loved is who you are. Thus, moralization is an important tool in understanding the concept of maintaining independence in all relationships. This means to achieve sustainability in an independent model, such as the concept of autonomy and self-determination, self ownership – the basis of which we can achieve this state is through being in alignment with truthful principles that are in harmony with the natural laws, and are in harmony with nature itself. This is moralization. However, moralization is essentially holding respect and dignity for all living things. Its dual, the opposing side of moralization, which is demoralization, is avoided in open discussion in the mainstream because it is the most important tool of the tyrant and controller that desire to maintain their power over others. This extends to creating a slavery system in which the resources that belong to others can be easily exploited and taken. The main methods for achieving demoralization is to target and attack the inherent divinity of the living being, and to attack the inner spirit, to attempt to demoralize. The first level of psychological and emotional warfare is to isolate the person or groups of people, which generates separation, and to make all people feel they don’t belong anywhere, and that there is no one they can trust. Then to promote disinformation campaigns in so to lead people in the opposing directions, away from what generates community and unity, away from what creates more love, compassion and empathy, which is a tactic of misdirection. And then to propagate a type of brainwashing through repetition which fosters disbelief and doubt in anything that deviates from what is the common consensus of the mainstreamed larger groups, which all have been subjected to the same forms of repetitive mind control of the death culture courtesy of the Archontic Deception Strategy. This is the classical conditioning used to take one’s focus and place it upon the outer world, to validate the exterior material values, that have been meticulously shaped by the controller pre-meditated programming, in so to ignore and invalidate the interior experience. The interior experience is where our inner spiritual essence, our authentic core self resides. Our core self will whisper to us, you are loved, you are connected, you are respected, you hold dignity for life and all living things! Dear spirit you must honor, respect and give value to all of your life experiences, for all this information is valuable, and you are valuable. I love, respect and honor myself, through all of my life experiences, I am loved and valued. I choose to love, respect, honor others, through all of my life experiences, they are loved and valued. I choose to speak words that are kind and loving, and in return, I create more loving kindness for myself and others, I feel and hear kindness and love coming from others. I am a strong, vital and valuable person, I am Love, I am lovable and I am Loved. These are truthful words aligned to natural laws, the inherent design of what is, it just exists as it is. Now we have controllers, bullies, intimidators, and the scope of what has been negatively co-created through the Law of Suggestion to oppose these natural laws, in order to replace the truth with deceptions and lies, in so we can be more easily controlled through spiritual oppression and rejection of the natural laws. Remember that Demoralization Tactics are the most important tool of the Tyrant seeking control, and to place all of your conviction inside yourself to refuse its oppression upon your mind, heart, soul and spirit. Demoralization is most commonly implemented through various forms of fabricated propaganda to weaken people, while dehumanization is commonly used by the Satanic Agenda to mock and defile human dignity or attack the spirit within the person. It is also the act of reducing another’s confidence and hope, or discouraging and disheartening someone’s optimism, causing them to lose faith in the future. 1. Pay attention to who uses demeaning and demoralizing words, words that spread self doubt, and figure out who is who? It may be family members, a co-worker or a friend or anyone else. First realize who is a demoralizing person, as they may not be doing it knowingly, but sometimes they inject fear and doubt which will misdirect your thinking and feeling into the wrong direction. 2. When others are being critical towards you, listen carefully first, then use critical thinking, intuition and guidance. Then proceed with a decision or action. Listen deeply first to feel the motivations behind the words and behaviors, do not interpret when a person is advising you in that moment. Deeply listen to the words in the present moment, and then feel into it in so to let it germinate, making a well thought out decision. 3. Stay away from Demoralization Tactics and demeaning people whenever it is possible. Demoralizing people place seeds of doubt in our mind and that is more than enough to destroy everything we have been building or moving towards in the future. Do not let others demoralization tactics hurt your heart or enter into the garden of your peaceful mind. 4. Sometimes we cannot completely avoid these kinds of people or situations, so no matter what, always do your best to be kind. Most of the time people act like this because of ignorance or a lack of knowledge about a particular thing. They have been treated this way by others, so they repeat the treatment they experienced. When we are kind they may be open to become educated into expressing more kind behavior, which is shining a light into the darkness. When it is possible to light up the darkness and show genuine care for them, this can potentially help to evolve them into a higher expression. 5. Hold healthy boundaries. We must make an effort to identify what choices we do have and make changes in our environment that can increase our sense of safety and comfort while in a physical space. In order to be pro-active in creating healthy boundaries, we need to assess the physical safety of our environment and assess the emotional safety of our environment. And realize it may be necessary to remove people or situations from your life who are entrenched in extremely destructive or harmful behaviors in order to make these necessary changes to our life style. Beloved God, We dedicate ourselves to love, honor and respect and value our inner spirit and the light that is within all things. We know we are the light of the world, and we value our light with all of the love in our heart. We are in service to the light of the world, we are self-aware and know it is a time of great personal turmoil when we may see others go through the process of seeing deceptions and demoralizing situations. When we see things that are truly dark and evil, it is an assault against our spirit and we can feel demoralized. We must gather the inner spiritual strength to deflect these assaults against, us, and constantly affirm our true value, our true love, honor and respect for ourselves and each other. This is rippling through many people in the ascension and spiritual groups at this time, and it is for these groups, we pray and ask the God Source for divine intervention when aligned to Cosmic Sovereign Law. Through consecration of our body to be of Service to Others, we evolve to become the Compassionate Witness on behalf of God source. Thus, as the Compassionate Witness we may extend goodness through the blessing of others, which catalyze their own inner spiritual awakening so they can feel their own direct relationship with the God Source. Beloved Holy Presence, In Cosmic Sovereign Law, I am your Compassionate Witness. In service to all those friends and colleagues, that are being intentionally targeted into terror programming to reject their spirit, or to confuse them into deep despair, by the NAA groups targeting, I pray with all of my heart to bless them and protect them in the eternal light of God, and in the blessings of the Holy Spirit and Spirits of Christ, to be fully freed from the spiritual burdens and shackles that have been placed upon them, by those Impostors and Deceivers of God’s eternal light. Through the light of God I am, through the power of love in my heart, I consecrate and bless ___________ to be freed into their highest expression and true nature, that they may be God Sovereign Free in the eternal light of God, now and always. It is absolutely imperative that we stay neutral, focused and clear, be fearless in the presence of those who represent the anti-life or anti-Christ. Do not react to anything you see and do not lose control over your faculties, stay anchored in the now moment with neutrality and a calm presence. Remember this always, I KNOW WHO I AM. I AM THE ETERNAL SELF! May we hold each other in unconditional love, kindness and acceptance, knowing that we have many dark entities and controller types who expect us to fail, and succumb to a crisis of faith and divide and conquer behaviors. It is the pure heart and internal love presence that each of us must find deep inside of the recesses of the self. This is the challenging path to live as God-Sovereign-Free and to be in the first line of the world lightbearers and the way-showers, bringing us back to being authentically human again at the end of the dark cycle.